Just met the girl of my dreams. 7 pounds and 6 ounces. Mother and daughter are doing fine. I bet she is absolutely beautiful….can hardly wait to see some pictures! Hope everyone is getting some rest……if that is possible!?! AWWWWW….so cute! Congratulations to the Proud Father and Mother! Wishing your little family only the best! Congratulations! Enjoy the ride… Sleep is lost but is well worth it. Very cute. Take lots of pictures because time passes too fast. Hug her lots! Enjoy this time you have with your beautiful new daughter . This is what life is really all about !! Congratulations again on your gorgeous little girl !! 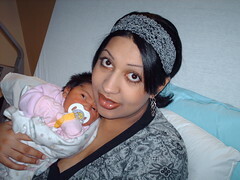 Hey Kulvir, got your picture of the baby. Wow! It sure is hard to believe that mine were that small at one time. Now the boys are 11-Tyson,she weighed almost the same as our 2nd son Brayden (7lbs, 9oz)he’s now almost 9. She’s georgous and Congrats. Hope to see more pictures. Take Care Kerri. Can’t wait to meet her. I probably should have painted unicorns and fairies in pinks and blues instead of jungle animals in browns and greens, eh? Hope you get some sleep soon…actually, you get used to no sleep after while! Way to go mom! I hear the second one is easier. Welcome to the Kaila Family Zahra! You truly are a cutie! Congrats Kulvir! Wish you guys all the best! Congradulations to your new family! Have fun and take lotz of pictures. Nazara is beautiful! Enjoy every moment for the rest of your life. 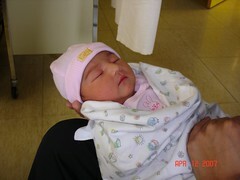 congrats kul and sang beautiful baby girl!!!! Congratulations! I will be by soon to pay a visit. Great choice on the name. Congratz Sang and Kulvir!! Zahra is adorable. She looks like a little doll. Cant wait to see her! 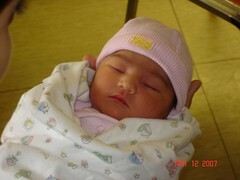 So adorable…congrats to the new parents…she’s gorgeous! Congratulations Kulvir and Sangeeta . She is a total cutie pie!!! Congrats Sang and Kulvir. Zahra is so beautiful. I can’t wait come see her! Enjoy every minute… time flies by much too fast. Love the name by the way…. Many congratulations to you and your family. 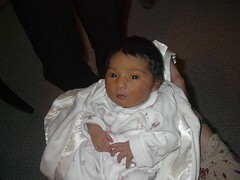 Congrats Kulvir, she’s beautiful. Enjoy this time fully as they grow up fast. Life definetly changes for the better. Hey Guys, That awesome CONGRATS CONGRATS CONGRATS. Wishing you, sang, Nazara a happy & healthy future. Congratulations Kulvir and Sangeeta! She is absolutely adorable. Congrats from all of us here! Congrats to you and your beautiful new family! Beautiful name and it appropriatly matches a beautiful looking girl. She’s beautiful! Good baby-making Sang & Kul…I like your work! I can’t wait to meet her in person! You will make wonderful parents I’m sure. Enjoy the time and don’t sweat the small things. Life is short but very sweet. She melts my heart every time I see her little face and lucky for me she’s a few steps away. Hows my lil Zinkipoo doing? I could stare at her for hours you guyz. She’s the cutest lil baby gurl. Kulvir….you can count on me for diaper changes anytime…and thats a promise! Awwwwww i get all gay and smiley just thinking about the lil bugger. What a cutie… congrats to you and your wife Kulvir!!! Congratulations! She’s beautiful. 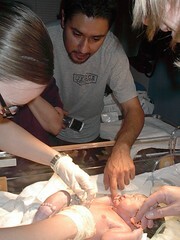 Welcome to the “I’m a Dad” club Kulvir! Wow! She’s so cute. We can’t wait to see her in person. Glad everyone is okay, and best wishes. Congratulations to both you and your wife Kulvir on your new little precious one!! 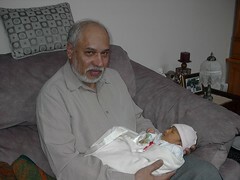 Your little baby and I have the same nick name hehee…”naz”! Congratulations to you both! Nazara is absolutely beautiful! WHat a wonderful birthday present for you, Kulvir! Congrats to you and your family Kulvir!! Such a beautiful baby with a beautiful name. Congratulations guys!!! Little Zahra is soooo cute. Esha is really excited to play with her new cousin. Hugs and kisses to the littlest Kaila. Congratulations! to mom & dad, she is soooooo cute, i can’t wait to see her. Awww.. she is beautiful, we’ll see you this summer! !